Looking for a solid ski jacket that will keep you warm on those cold winter days while you are riding down the mountain? Look no further. 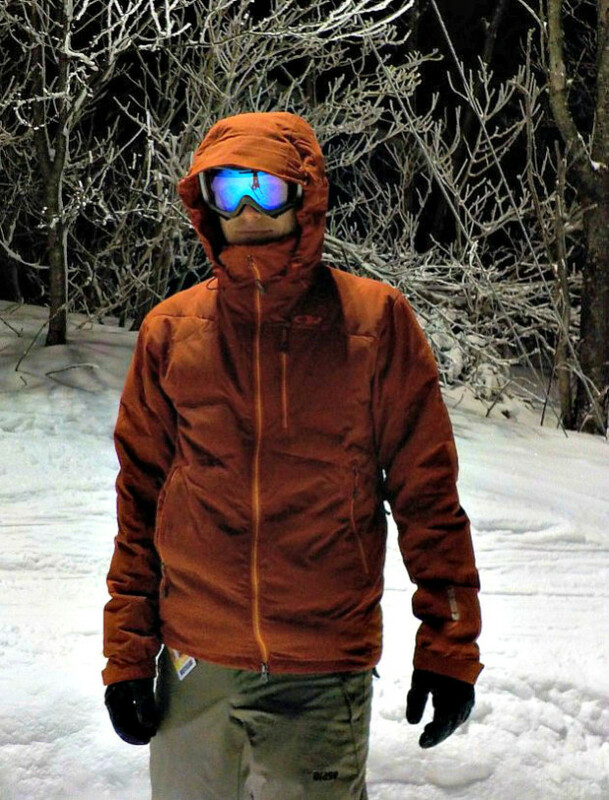 Outdoor Research has you covered with their Stormbound jacket. This jacket features a 32-percent 40D, 68-percent polyester fabric composition, and is faced with Pertex Shield +, which ensures no snow will get through. All seams are sealed and so are the pit zips. Features include a snowskirt and a helmet-compatible hood. So far you might say, “What is so revolutionary about this jacket?” The insulation is what makes this jacket special and ensures that it will last you for years. Outdoor Research has used 650-fill-power down in most of the jacket to keep you warm on those cold days. But down has a one major flaw: Over time, down will compact and lose some of its loft. This means the down will not be able to retain as much air between the fibers, meaning lost warmth. Skiers who spend most of their time skiing at resorts will spend a large amount of time sitting in lifts, which compacts the down. Outdoor Research used Thermore synthetic insulation in areas that would be most likely to get compacted, such as the lower back. The cut of the jacket is relaxed, so you have plenty of room to wear some layers underneath. A great candidate would be a lightweight jacket like the Paradox ATMO2. The cuffs, unlike many other jackets, easily fit over gloves or mitts. Outdoor Research also included a RECCO reflector to keep us backcountry lovers safe if they ever get caught in avalanches. And to add a final touch, like all Outdoor Research products, this jacket is covered by their ‘Infinite Guarantee.’ If there is ever a defect in their products, they will replace them with few questions asked (from my own experience). I sadly haven’t had much chance to test this jacket to its full potential because I received it very late in the ski season. The jacket is retailing at $495, is available in charcoal/dusk/taos, and comes in sizes S to XXL. So far, it is exactly what I expect of all the Outdoor Research products I have ever owned: a rugged-yet-lightweight design that works perfectly for its intended use. I can’t wait for next season to arrive so I can put it through rougher weather. You can to purchase the Outdoor Research Stormbound Jacket here.